Sentronics is celebrating a successful start to the 2018 season, following the implementation of its FlowSonic fuel flow sensor to the IMSA WeatherTech Sportscar Championship. 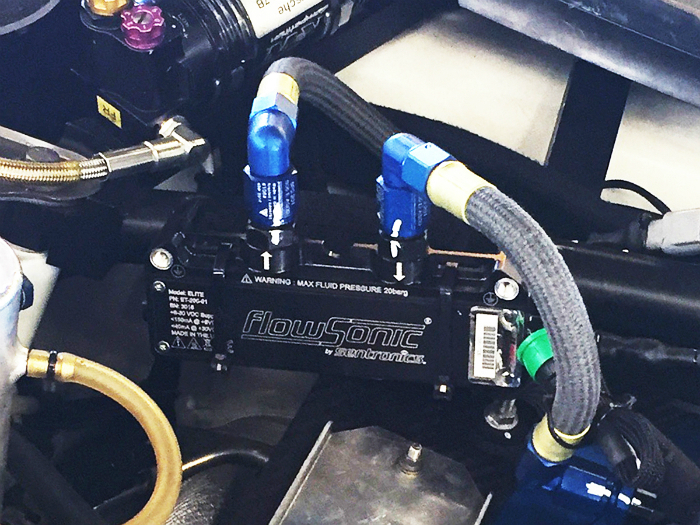 The recent Rolex 24 at Daytona, the season opener and flagship event of the 2018 IMSA WeatherTech Sportscar Championship, saw the FlowSonic fuel flow sensor adopted by IMSA to ‘enhance its performance data monitoring and balance of performance process’. As a result, the sensor was run by every class in the 56th edition of America’s endurance classic. In a Rolex 24 which saw records set for total distance and average speed, the FlowSonic notched up a number of noteworthy milestones of its own. The race marked the first expansion of series-wide fuel flow monitoring since the technology was introduced to Formula 1 in 2014. The reliability of the FlowSonic was demonstrated over 24 hours of non-stop running and 127,052 miles (35,689 laps) of aggregate distance – equivalent to five times around the world and 50% longer than the cumulative season race distance of an entire F1 field. Across IMSA’s Prototype, GTLM, and GTD categories, sensor accuracy and repeatability remained consistent throughout and unaffected by each team being free to design and implement their own installation of the FlowSonic. Every FlowSonic features advanced solid-state ultrasonics in a compact, lightweight package, laboratory-quality flow data with industry-leading accuracy and repeatability, a high measurement rate and turndown ratio, race-proven reliability and durability, extreme robustness and vibration tolerance, -20°C to +120°C temperature range, compatibility with all race fuel types, internal processing and diagnostics, multiple output formats, and minimal operating and maintenance cost.